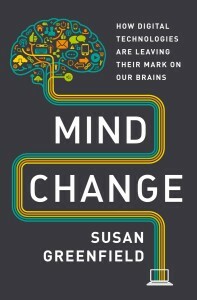 In her latest book, ‘Mind Change’, Baroness Susan Greenfield discusses the all-pervading technologies that now surround us which, in her view, are creating a new environment, with vast implications, because our minds are physically adapting and are being rewired. 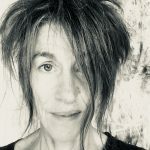 In this exclusive interview, she discusses what this could mean and how can we harness, rather than be harnessed by, our new technological milieu to create better alternatives and more meaningful lives. ‘Mind Change’ is intended to incite debate as well as yield a way forward. Richard Bright: The main focus of your research for many years has been to try and uncover the neuronal mechanisms accountable for the loss of mind, dementia and Alzheimer’s disease. 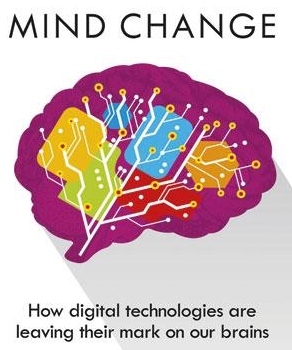 What led you to write Mind Change, which deals with how the brain changes through the use of digital technologies, rather than the loss of mind? Susan Greenfield: In a sense they stem from the same general area, which is neural mechanisms in the brain. I’m still working very vigorously on the Alzheimer work and indeed have a company called Neuro-Bio Ltd, which is adopting new approaches. The book stemmed really from a House of Lords meeting, when in about 2008/9 there was a debate on regulation. I thought it would be very interesting to take the angle of the environment changing people’s brains and therefore the brain changing in an unprecedented way. This led to so much interest that, as well as doing my work and research with Alzheimer’s, which hasn’t changed, I also took up an interest in reading, writing and talking about this subject as well. RB: How are attentional mechanisms, perceptual and cognitive development, disrupted by the effects of games and social media? SG: It’s not necessarily disrupted, it’s changed. If the brain is sensitive to the environment, which it is, it will adapt to whatever the environment inputs. If the environment is inputting things that are changing very quickly the brain will follow its evolutionary mandate and adapt to that, the same as it will adapt to not being able to look someone in the eye or communicating via text. It will adapt to whatever input there is. That’s why we see, as we are doing, changes in attention span with, for example, video gaming. RB: You state in the book that there is a correlation between the soaring popularity of social networking sites and the decline in empathy. Can you say something more about this correlation? SG: That was an initial study of fourteen hundred college students when, in the last ten years in particular, there has been a decline in empathy, and that coincides neatly with the rise and rise of social networking. Much more recently there has been more evidence corroborating this. There is a book just out by Sherry Turkle, called Reclaiming Conversation, which provides more evidence. That’s had a lot of coverage where she cites the same kind of data that I cite, showing that if you don’t rehearse face-to-face conversation and interpersonal relationships you’re not going to be very good at them. RB: If it is detrimental to perform socially-isolated activities with a two-dimensional surface rather than interacting with real people in a 3D world, what about reading books? SG: Reading books gives you things that the screen does not give you, but also very few people read books for 18 hours a day, which is what some young people are doing on screen technologies. Reading books has a bonus in that it gives you a long attention span and it fires the imagination, whereas screen technologies gives neither of those things and it’s quantitatively in that, nowadays, screen technologies has become, for some people, a way of life. For many people, books are not the only thing they do, they read books to enhance their real life. RB: So it’s about timescale? SG: Yes, obviously if someone is spending an hour or two on the internet that’s not the same issue as where it becomes not a means to an end, which is fine, but it becomes an end in itself. RB: You liken the ‘mind change’ to the threat posed by climate change. Scientists have been gathering evidence on climate change for many years, and yet there a still sceptics. What evidence is there for ‘mind change’? What do sceptics say about this? SG: There are four areas which no one would dispute. One is that both climate change and mind change is global. The second is controversial, and of course that’s what we are now touching on. The third is that it is unprecedented, but fourth it is multi-functional, in that there are lots of questions that we can ask. Of course, there will be sceptics and that is fine, but I’m not saying that this is like a litmus test, I’m just saying that the evidence is accumulating which should make us think more about it, rather than being in denial. It reminds me slightly when cigarettes were suggested to be bad for health and, of course, a lot of people wanted to deny this because, not only were they having fun and enjoying the product, but also a lot of people were making an awful lot of money out of them. I think we should not exclude the commercial interest by many large corporations with the money they are making out of the video game industry, who will obviously want to promote all the good things about it and try to downplay or discredit any criticism. RB: By connecting neurons in a unique configuration, the physical brain is personalised and shaped into the human mind. In the final paragraph of your book you ask “as we become increasingly hyper-connected in the cyberspace dimension, might not our global environment begin to mirror the networking in our individual physical brain”. What do you mean by this? SG: This is an idea from a Jesuit monk and palaeontologist, Pierre Teilhard de Chardin, who had this idea of the Noosphere, which is where everyone was connected up. One possibility is that people may feel so interconnected all of the time that it may be a little bit like that, that’s to say that there’s no firewall between you and someone else, that everything you think is downloaded and received all the time, so that the space which you think is out there is inside your head, and that ideas are developed externally in relation to others rather than internally as individual. RB: The evidence from neuroplasticity would indicate that if the brain changes in response to its environment, then we should be able to reverse an effect by a change in environment. Do you agree and what strategies can be made for this to happen in terms of the concerns you raise in Mind Change? SG: Indeed, there is a very interesting paper that came out about a year ago which showed that even confiscating pre-teens’ mobiles and sending them off to Summer Camp for five days without them then there was a significant shift in their interpersonal skills. RB: What other strategies can be made? SG: There’s three things I think that people can re-invent in their lives. One is getting outside, physically and taking exercise and stimulating all five senses. The second is, for young children, reading them stories so that, even if they don’t have the reading skills, they can develop their imagination and long attention span. Third, and I realise that this might be hard to do routinely, is family and friends eating together, when mobiles are switched off and you sit around a table. We have always known that human beings, all human beings, from all cultures, find that eating together is an important part of being human and if you just grab a snack in front of your keyboard then you are missing out on something. RB: In a way you’re saying that the book is aimed at the next generations and you mention in your book, Huxley, Orwell and Haldane who, famously took the technologies of their time and projected (prophesised) a future where scientific and technological progress dehumanise us. But you suggest that the exact opposite is now the case, where the very worst aspects of being too human is now being given free rein. What do you mean by this? SG: I think the technologies aren’t dehumanising people, they’re not making them into robots, I think they are keeping them as little children. I think that the next generation, if this is excessive, will end up being rather emotionally volatile, needy, will have low self-esteem, be needing constant feedback, have a short attention span and fragile sense of identity. It’s a little bit like how small children might be but the sad thing is they might be teenagers. RB: What you consider to be the worst aspects of being too human. RB: Do you see Mind Change as a kind of contemporary Brave New World or 1984, in that its aim is to raise awareness of what might happen? SG: Obviously both those books were novels but, certainly the Huxley book was founded on the work of J.B.Haldane, who gave a lecture in the 1920’s in Cambridge. I wouldn’t have the temerity to put myself up there with such great literary giants but I certainly think it is healthy sometimes to explore where the technology is leading us, rather than have this unconditional love affair with anything technological or new. I don’t think it’s a question just to see if it’s what we want it to do and it’s harnessed in the right way for us. RB: In a way they were offering us a warning of what might happen and you’re saying we’re missing the potential of what could be? SG: That’s right. We are missing potential, but I’m not saying that it’s all bad, I’m saying it’s a means to an end and we should decide what we want that end to be. If we don’t think about this then we can’t complain or cry foul if we end up in a space with a society where people act like zombies. What we want is to use the technology to empower people and to make them individual and confident, not to make them mindless zombies who just want to get approval from 500 different ‘friends’. RB: You state, to get these strategies underway, that “to this end, the traditional print and broadcast media could get the ball rolling”. 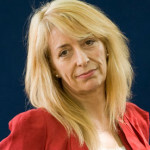 The media have a long reputation for taking scientific ideas and sensationalising them or scaremongering. Is there a risk that this could be the case with the concerns you raise in Mind Change? SG: Of course there is, and there is a difference between scaremongering and a ‘wake-up call’, but how do you know which is which until afterwards? On the other hand, I think the print and broadcast media have a balance and I think we need whatever means we can to get people to be open-minded and thoughtful. RB: Following on from this, one of the criticisms that have been levelled at Mind Change is, “why did you write a book and newspaper articles, and not a research paper? What is your response to this? SG: That was such a strange comment. It’s confusing writing a research paper with writing a book. The book is based on 4 or 5 hundred references, including several hundred peer review papers. An original research paper has a single idea with a single technique that tests a single hypothesis but Mind Change is an overview of many, many different papers, so it’s not a research paper. If you’re familiar with how science works, it’s a rather silly criticism. I’ve written over 200 research papers myself, it’s not the same thing. Mind Change is not the report of an experiment, it’s a review. It would be impossible to write a hundred thousand words as a research paper, which is the length of the book. RB: The book is a wake-up call, rather than an experiment? SG: I would like to think so, but who knows what will happen in the future. RB: On the question of the correlation between the growth of digital culture and the growth of Autistic Spectrum Disorder, you have touched a very sensitive ground. Is there a causal link between the internet and autism? And what evidence is there to support this? SG: We know that there is certainly an environmental factor, that’s not to say that the screen causes autism, which is what some people have simplified my argument to. I’m not saying that at all. If we can talk about that ‘autistic-like behaviour’, where people are not very good at empathy and not very good at interpersonal skills, then it is certainly not unreasonable to suggest that if the brain adapts to whatever experiences it has and it doesn’t experience interpersonal skills you’re going to see ‘autistic-like’ problems, and indeed that is what we see. RB: Do any of us, as human beings with human brains, whether we’re diagnosed autistic or not, run the risk of displaying autistic-like behaviours if we spend a lot of time on screens from video gaming to social networking? SG: I think that if you don’t rehearse real face-to-face conversations and empathy you’re not going to be very good at them. That is a very plausible scenario. RB: If the digital world is a real threat to our wellbeing, are there any benefits? SG: Yes, there are lots, as long as they’re harnessed and accommodated in the real world. Obviously access to information and 24/7 communication, being able to do shopping. Of course these are benefits, but they also have their downsides. The benefits are so obvious that I think people sometimes don’t look at the price they might be paying. I just wanted to balance the situation. RB: Rather than going blind into the future, to discuss now what may happen? SG: Yes. But we shouldn’t ask what may happen in the future, we should ask how we can shape the future. RB: Going back to your work with Alzheimer’s, is there any relationship between the concerns you raise in Mind Change and Dementia? SG: Not really, although there’s a German neuroscientist Manfred Spitzer who talks about ‘digital demetia’, but he defines dementia in a very narrow way, as loss of short term memory. My own view is that, in a very general way, it all comes down to the issue of neural connections and how they’re shaped and formed. I think it’s really a bit of a stretch to say that one will lead to the other, it’s too early to say that. While ‘digital demetia’ has a certain ring to it I think it can be a bit of a misleading term. RB: Could you say briefly what is going on in the brain when somebody gets Alzheimers? SG: The connections are dismantled and key brain cells are lost so that you become like a child again. Slowly you’re retracing the same path, but going backwards, as when you were developing your brain and the connections were forming. RB: One final question, what is your next book about? SG: My next book is called A Day in the Life of the Brain, which is about consciousness and that is coming out with Penguin in September 2016.